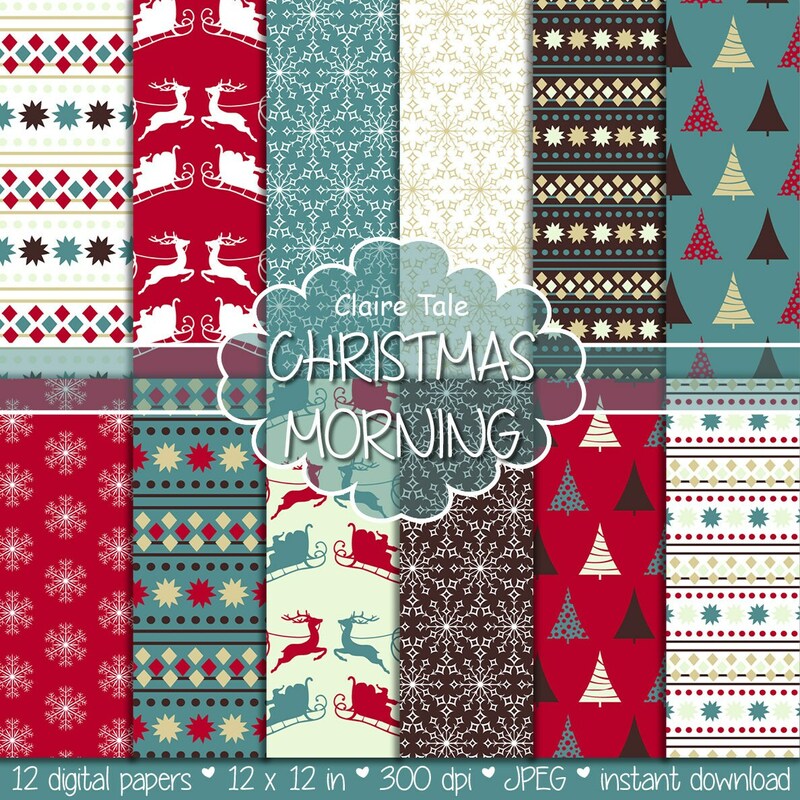 12 Christmas digital papers: christmas paper "CHRISTMAS MORNING" backgrounds with deers, santa, snowflakes and christmas trees. Perfect for scrapbooking, invitations, announcements, anniversaries, birthdays, party themes, stationary and paper crafts. Ready for immediate print and digital use. Bright and colorful and perfect for some Holiday cheer!